Lubricant temperature and lubricant type are two of the most important factors in material selection for sealing applications. The compatibility of a lubricant with a seal material may change the seal's normal operation limits. The performance of any sealing material depends on the balance of condition under which it must operate. If the extremes of temperature, speed, pressure and eccentricity are encountered simultaneously in an application, the seal may not function satisfactorily. In a low temperature environment a seal should operate only with minimum eccentricity and pressure. 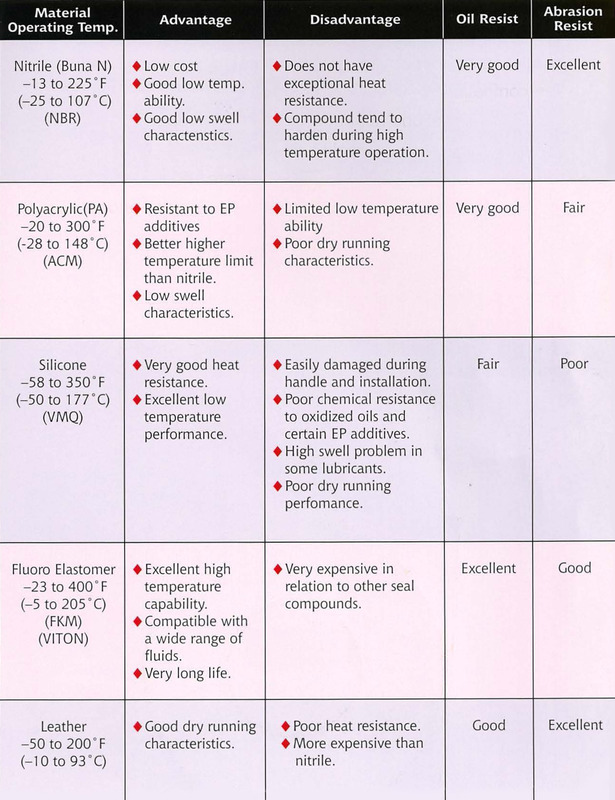 The following diagram is the comparison of general used materials for sealing applications. It helps to select a right sealing material where it must function.